Pastured Poultry Profit$ provides the perfect companion to Harvey Ussery’s The Small-Scale Poultry Flock, which I reviewed last week here. I purchased both books for a Pastured Poultry course, which I took through the UMass Amherst Stockbridge School of Agriculture. Joel Salatin describes in detail many of the practices, which have led to the success of his 550-acre farm in Virginia, Polyface Farm, where he raises pastured chickens as well as pigs, turkeys, rabbits, and cows. Like Ussery, Salatin discusses the harms of factory poultry farms, one of the scariest of which is their contribution to the rise of antibiotic resistant “superbugs”. Salatin convinced me about the health benefits of pasture-raised poultry, including that pastured birds are lower in saturated fat (cholesterol) compared to conventional poultry. 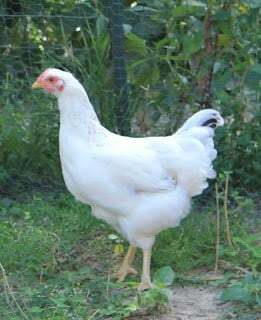 Poultry raised on pasture consume more green material high in vitamins and minerals such as magnesium in chlorophyll and B vitamins, resulting in their lower saturated fat. I was less familiar with, but particularly interested in Salatin’s description of the lack of coordination between poultry and grain production in commercial agriculture. He explains that grain is imported long distances to be fed to poultry and potential nutrients (from the birds’ manure), which could contribute to growing grain, are lost inside buildings where the chickens spend their lives. The result is an overload of nutrients in poultry production, which negatively impacts the environment. Salatin advocates for decentralizing production to disperse nutrients in a more balanced cycle. Salatin encourages prospective pastured poultry farmers to start with 50 or 100 broilers. But it’s easy to see how his strategies would be replicable on a much larger scale. The “Learning Curve”, “Troubleshooting Poor Performance”, “Shortcuts”, and “Solving Your Own Problems” chapters take much of the worry out of starting a pastured poultry business. Salatin offers advice about issues he has encountered, which hopefully you can avoid or at least know how to better identify. Other chapters provide information about diseases, predators, weather challenges, and other stresses to the birds. While I think some of the specifics, such as feeding, are more clearly explained in Ussery’s The Small-Scale Poultry Flock, Pastured Poultry Profit$ provides more helpful information about portable pen and Eggmobile specifications, ideal pasture composition and conditions, on-farm processing techniques, simple processing equipment (such as a DIY scalder), and costs for starting a pastured poultry operation. Salatin explains that there is a direct connection between bedding quantity/quality in the brooder and chicken mortality. He says that it is best not to clean out the brooder, but rather to keep it aerated and simply add new material on top of older bedding. New chicks should be placed on the existing bedding right after 2-3 week old chicks are taken out of the brooder. Bedding should ideally reach a depth of at least 4-8 inches inches. This deep, composting bedding will produce natural vitamins and antibodies, resulting in a healthier environment for your chicks. According to Salatin, “nature sanitizes itself in only two ways: sunshine/rest and decomposition.” Applying this theory to the smaller-scale pastured poultry operation, he explains the importance of providing fresh range for your birds and maintaining the appropriate carbon/nitrogen ratio of 30:1 in your soil. His solution is portable pens. It was especially helpful to read about Salatin’s process and homemade dolly for moving the pens. By moving each pen daily (with 80-90 birds per pen) Salatin says you can reduce your feed consumption by 30% while infusing 300 pounds of nitrogen per acre. Salatin says “nature provides seasons for a reason” and argues that “producing in sync with the season provides the greatest profit”. It turns out these “profits” are not just financial (for example, keeping dollars in the local economy) but also include improved quality and nutrition of the birds, better uptake of manure nutrients into your fields, and greater convenience for both workers and consumers. It was also useful to read about Polyface Farm’s on-farm sales and the options and open door policy they offer to customers. Although I wasn’t swayed by Salatin’s recommendation to raise Cornish Cross broilers, his argument that they are more acceptable and marketable to consumers (compared to nonhybrid chickens) is certainly something to consider if you’re starting a pastured poultry operation. Overall, Salatin empowers readers to solve their own problems and trust their instincts in raising pastured poultry. 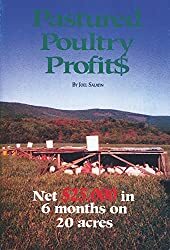 I highly recommend Pastured Poultry Profit$ and hope you’ll take Salatin’s advice to just get started if you’re considering launching a pastured poultry operation.